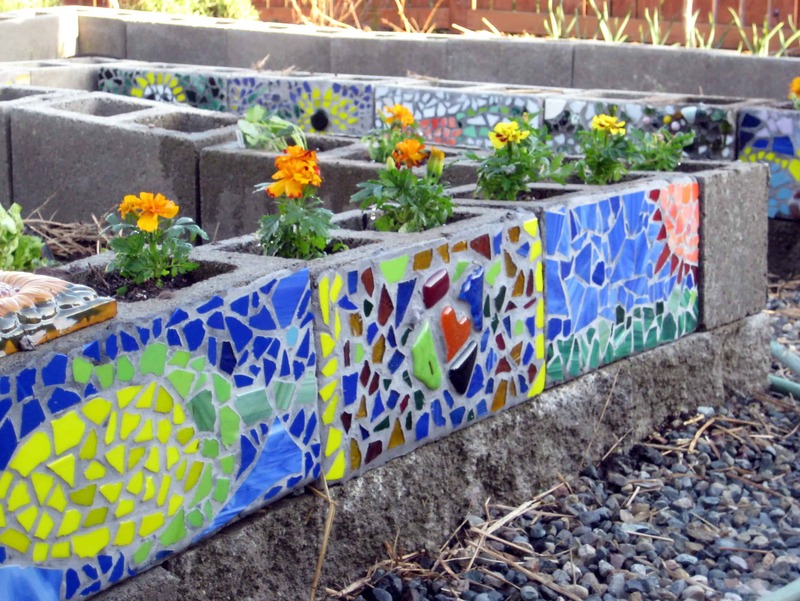 Love mosaics, then you will love these 9 fun mosaic projects you need to try. 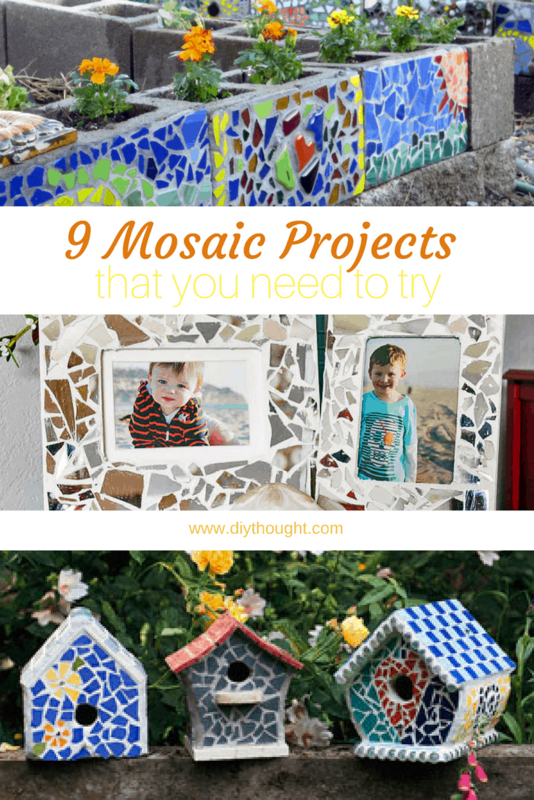 There is everything from great starter projects all the way to big projects to satisfy all of your mosaic desires. It is possible to mosaic almost any flat surface so keep reading to gain some inspiration for your next mosaic masterpiece. These frames are made from broken up mirrors which looks truly beautiful and helps to reflect light around the room. Click here to read the full tutorial. 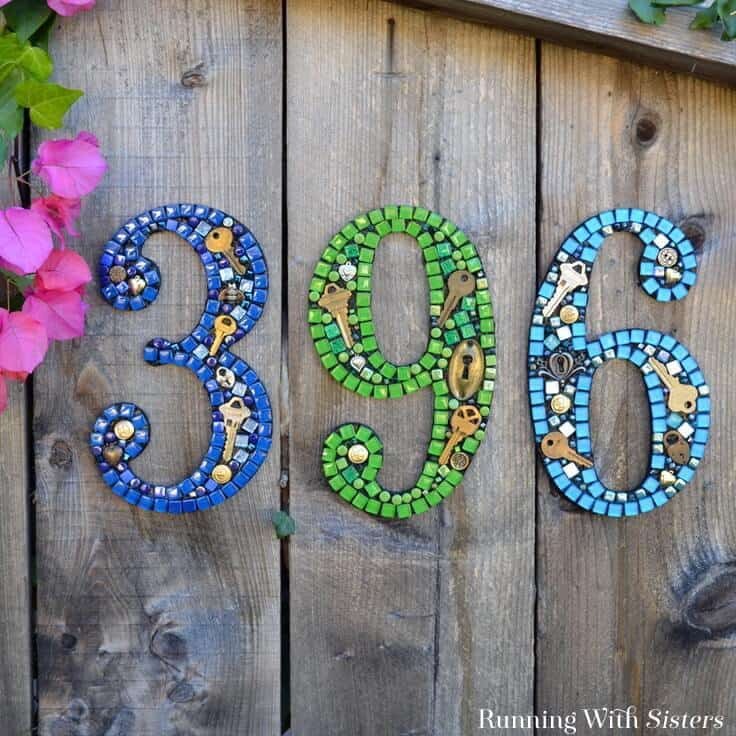 Running With Sisters has everything you need to know to mosaic a table. 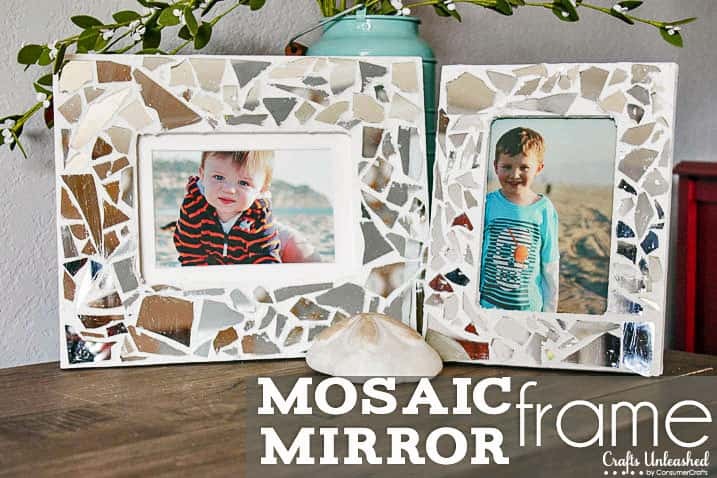 From transferring an image to grouting are all covered so you will be creating mosaic table masterpieces with ease. 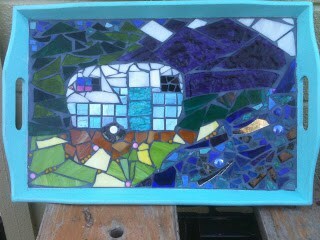 A mosaic tray is a great starter mosaic project. Not only do they look lovely but they make excellent gifts! Find out more about this mosaic tray by clicking here. Wanting to add some beautiful mosaics to an outdoor space, then these stunning mosaic stepping stones will do the job nicely. Follow this link to find the tutorial. 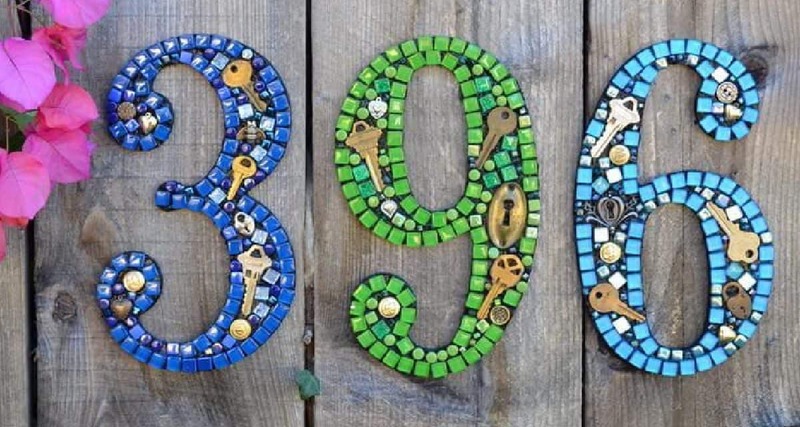 This eye-catching mosaic house number is made without grout! 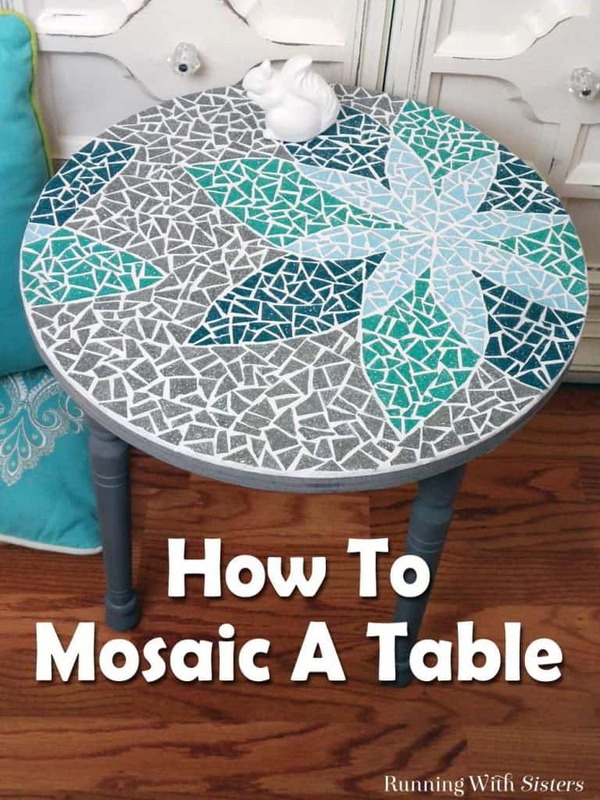 This is one super simple mosaic project that we know you will love. Click here to find out more. 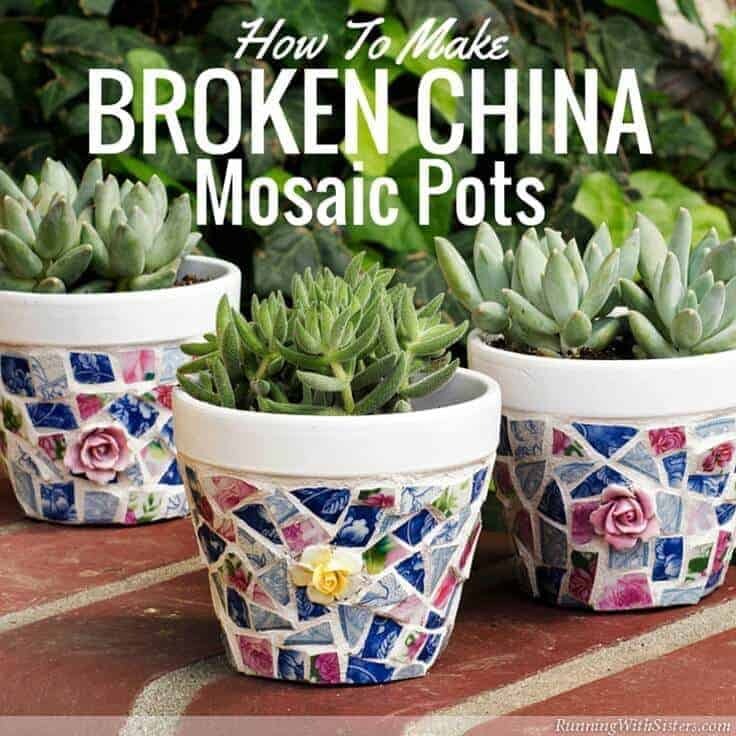 Upcycle that old broken china into a beautiful mosaic pot. These pots would make the perfect mother’s day or birthday gift. Follow this link to find the tutorial. 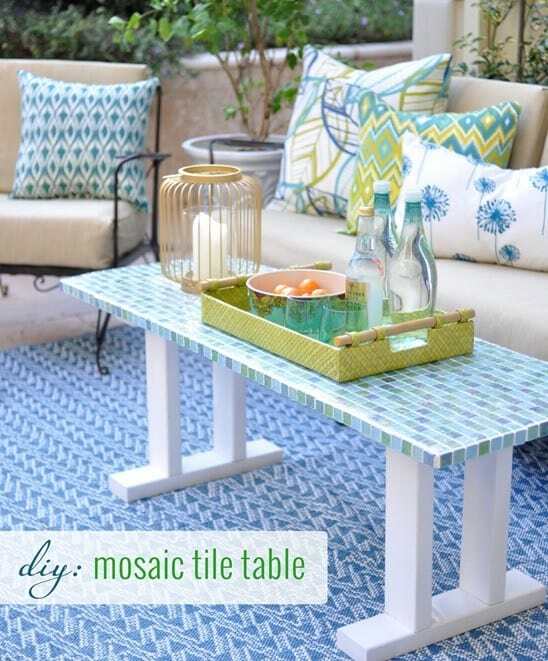 This amazing mosaic tile table has been made from scratch and the tutorial is there to step you through the entire process. There are lots of tips here giving you every chance of success when creating your own stunning tile table! Read more about this project here. This amazing raised garden is a great example of thinking outside the square when it comes to possible things to mosaic. 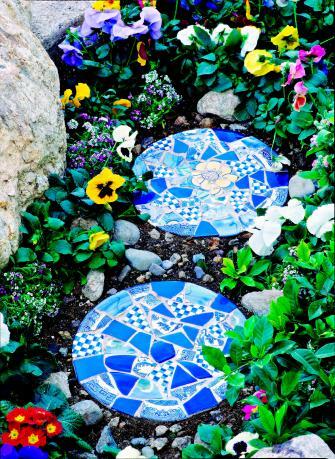 This mosaic adds a beautiful joyful charm to this garden space. Click here to read the full tutorial. 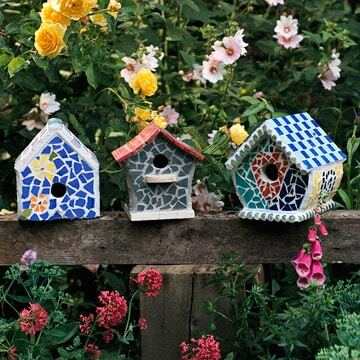 Create a charming birdhouse with the addition of mosaics. Imagine a few of these beautiful birdhouses scattered around the garden for the birds to discover. Click here to get the full tutorial.